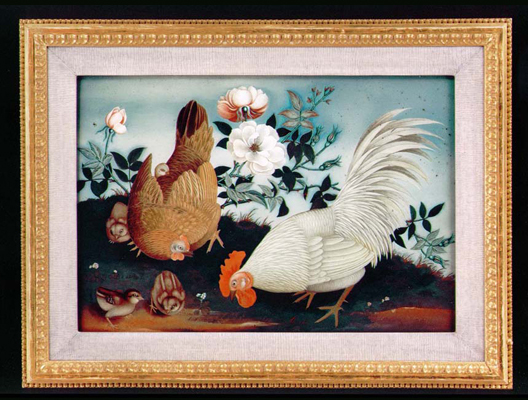 A pair of late eighteenth century Chinese export reverse paintings on glass, one depicting a hen, cockerel and chicks pecking with roses beyond, the other depicting doves preening their tail-feathers with peonies and grasses, now in blue crackle-glazed and parcel-gilt slip frames with pearled and acanthus-carved borders. 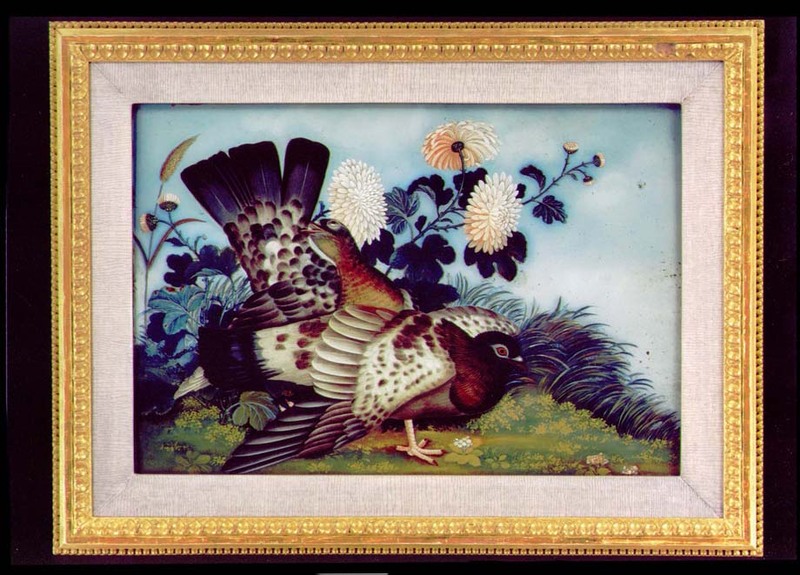 Height (with frame) 15 1/4in (38.7cm). 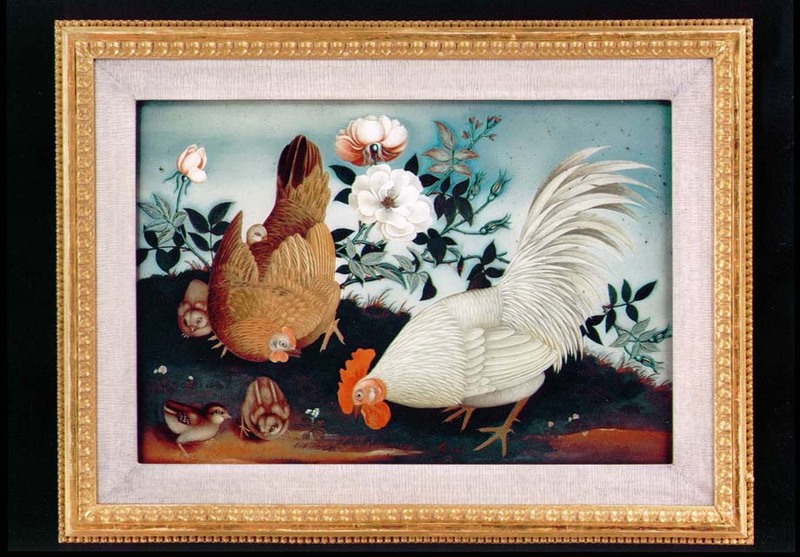 Width (with frame) 20 1/4in (51.5cm).